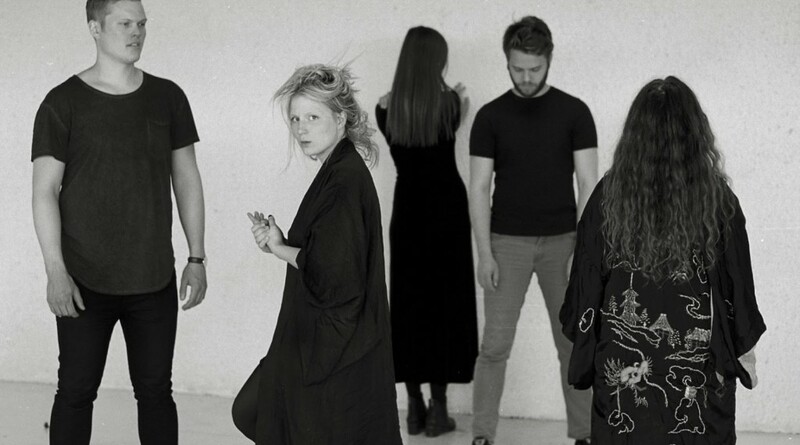 Icelandic bands often resemble a force of nature, and Mammút are no exception. What’s more, the quintet’s spectacular new album Kinder Versions is exactly the kind of volcanic presence that is sorely lacking in 21st century rock, likewise their unpredictable and uncategorisable shape-shifting sound, like a very modern twist on psychedelia. Mammút is Icelandic for ‘mammoth’ – the name that singer Kata Mogensen, “plucked out of the air,” when she joined guitarists Alexandra Baldursdóttir and Arnar Pétursson, bassist Ása Dýradóttir and drummer Andri Bjartur Jakobsson for their stage debut,aged just 14. Kata is the daughter of bassist Birgir Mogensen, a former bandmate of Björk back when they were young post-punk adventurers, a questing spirit that Mammút have also unconsciously adopted, though without ever discussing what kind of music they’d play. “We’re so close as a band, we have no limits for each other, no boundaries, we just follow our gut instincts,” says Kata. It’s worked from the off: they quickly won the Músiktilraunir ‘battle of the bands’ and thereafter nominations and awards at different Icelandic Music Awards: their third album Komdu Til Mín Svarta Systir won three of its eight nominations in 2014, including Album (Pop & Rock) and Song (Pop & Rock) for their epically slowburning single ‘Salt’. And with vocalist Kata Mogensen now singing in English, there’s a chance much more of the planet will discover what their homeland has known for a while.